You owe it to yourself/your family to truly FIND OUT from numerous experienced Lenders, what the available [and new] multiple loan programs are! Wondering If You Qualify For A Home Mortgage? Find Out For Sure! Are you someone who does not think they should bother contacting an experienced and licensed Mortgage Broker or Lender as you “already know you aren’t qualified”? Pick up your phone, get onto your computer for an internet search or just walk in to a good local Lender. There are numerous loan programs available. Find out which loan program best suits you. And don’t just go to a bank. Also go to local Brokers and portfolio type lenders (such as a Credit Union). 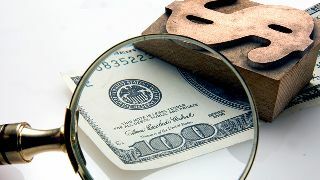 Even consider Hard Money or Private Money financing as these have less credit hassle financing. Whether you need an investment property refinance or a jumbo loan to buy that big family house in Santa Rosa, San Francisco or Marin, or, how about in Monterey Bay or another beautiful California city? ALL Programs should be considered as you could be missing out on that specific home mortgage which you do qualify for! It can’t hurt to find out for sure, from experienced and licensed mortgage professionals. You may just be happy you asked. You could soon become a new homeowner!